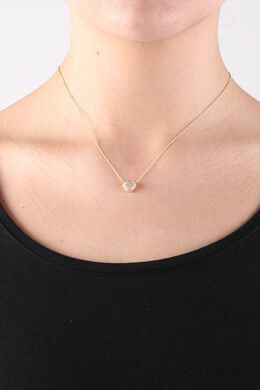 Our exclusive Sterling Silver Collection: Elegant and delicate short necklace in 18 karat gold plated Sterling silver. 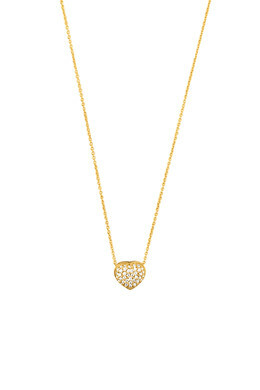 The necklace is decorated with a small heart set with tiny white Swarovski crystals. 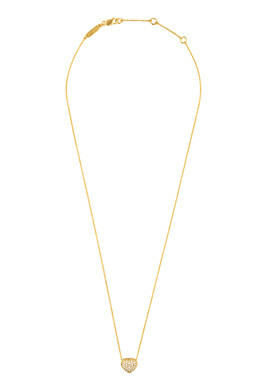 Chain length: 40 cm with extension and lobster closure.